The new 30-euro coin issued by the National Currency and Stamp Factory, the second of this 2018, will have a very special protagonist, Princess Leonor, who at 12 will be represented for the first time in one currency. 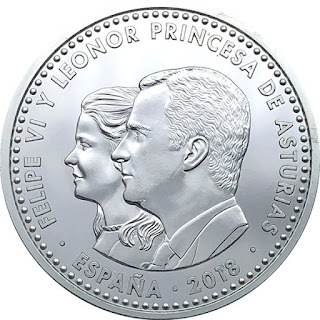 The reason for which the coin will be dedicated is the "1300th anniversary of the Kingdom of Asturias" and Leonor as Princess of Asturias will share the obverse of the coin with her father King Felipe VI. 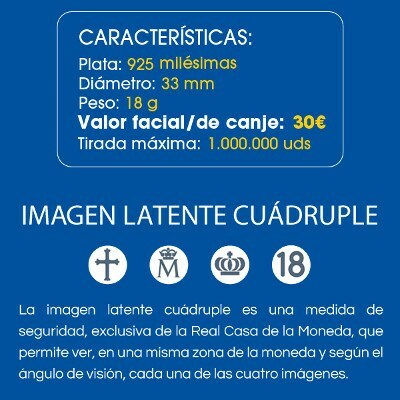 It is expected that it can be acquired from October 22, although since next Monday it can already be booked at banks. For the newest in the world of numismatics, tell you that this coin can be purchased at face value in many commercial banks and in all branches of the Bank of Spain at face value, 30 euros. It is not a currency that has liberating power, come on, that can not be paid with it. 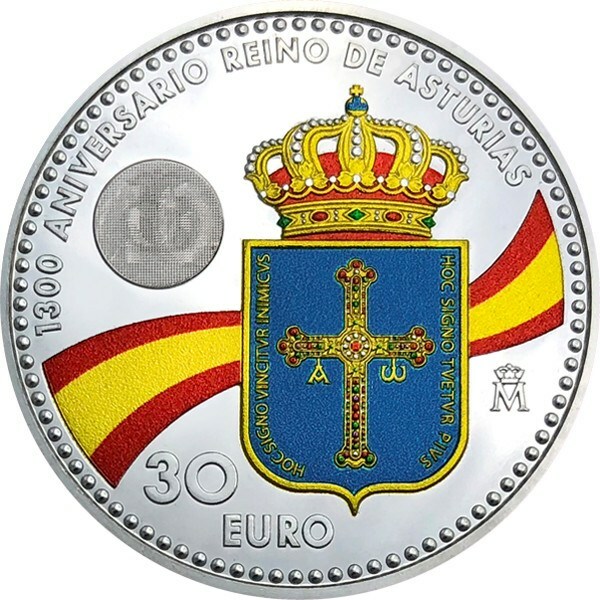 What you can do, without a day you get tired of it or need the money, is to exchange it for the 30 euros paid in any Bank of Spain.